Michael Clarke tribute to Phillip Hughes is heart wrenching. 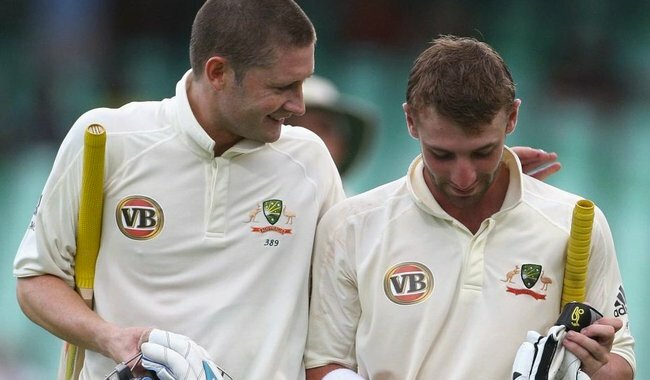 Michael Clarke pays tribute to 'brother' Hughes in heartfelt column. Australian captain Michael Clarke has put pen to paper in a heartfelt tribute to his friend, team-mate and “brother” Phillip Hughes after his tragic passing on Thursday. In a piece for The Sunday Telegraph, Clarke celebrated Hughes’s 26th birthday by reflecting on his life on and off the field, describing him as “one of life’s true characters and gentlemen”. “His cricketing achievements – of which there were many – really play second fiddle to the human qualities that he exhibited,” Clarke wrote. “Loyal to a fault, eternally optimistic, kind hearted, wicked sense of humour, a child like verve for life … I really could go on and on. “I met him as a boy of 17, when he came down to Sydney from Macksville to play for my club Western Suburbs. Clarke talked of Hughes’s country upbringing, describing his parents Greg and Virginia as “salt of the earth Aussies”, and recounted his love of life on the farm. ” I remember the last time we batted together. We would meet in the middle of the pitch and I would be asking him whether the ball was moving in the air or off the deck,” Clarke remembered. “All he could do was talk about his cattle. What that man didn’t know about cows wasn’t worth knowing. Hughes spent much of his career fighting to regain or retain his place in the Australian Test side, but Clarke praised his resilience and humility, saying he was “as mentally tough as they came”. “Whenever Hughesy suffered adversity – if he was replaced in the team or if he wasn’t scoring as many runs as he wanted – he never dropped his head, never once complained,” Clarke said. “If he had a tough conversation with a selector he would nod, agree he needed to work harder, grin because he felt bad for the person delivering the message and then get on with it. “You knew deep down he was shattered because playing cricket for his country meant everything to him. Clarke described Hughes as a “prodigious talent”. 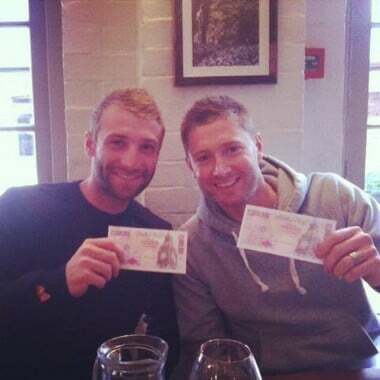 Michael Clarke and Phillip Hughes. “He may not have had textbook technique – show me someone who does – but what this man could do is score runs for fun,” Clarke said. “At only 25 years of age he had 26 centuries to his name in first class cricket, and I have no doubt he would have made it 27 last Tuesday. “What a smile” (Michael Clarke’s instagram). Clarke struggled through a heartbreaking speech on Saturday morning, in which he revealed Hughes’s ODI number of 64 would be retired in his honour, but used this piece to honour the life and celebrate his birthday. “I heard a mate a few days ago refer to Phillip’s life through this line from an old military poem and I think it perfectly sums him up,” Clarke said. “One crowded hour of glorious life is worth an age without a name. 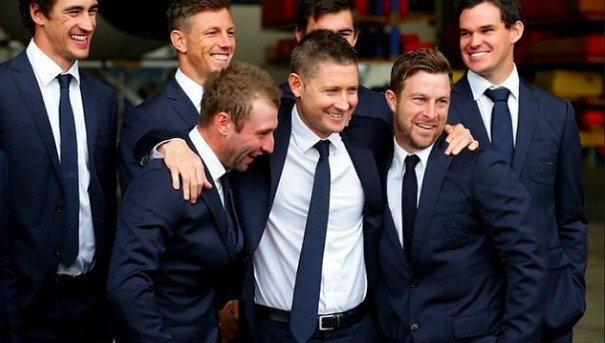 Michael Clarke with Phillip and his team mates. “That his career, and his life, was cut short in his prime is incredibly unfair. “I don’t have a blood brother, but I am very proud to have called Phillip my brother. I am a better man for having known him. Hughes’s funeral will be held in his home town of Macksville at 2:00pm (AEDT) on Wednesday, in the sports hall of his high school. Cricket Australia (CA) has opted to postpone Australia’s first Test against India at the Gabba as players continue to struggle with grief after the death of Hughes. 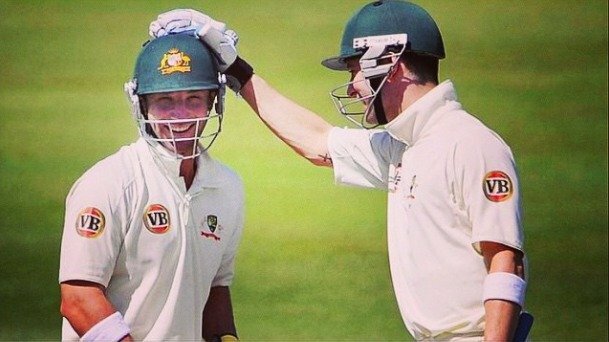 CLICK THROUGH a gallery of tributes for Phillip Hughes.